Shelly Jackley has joined the Wilson team as Chief Financial Officer following the promotion of Glenn Quintos to Chief Operating Officer. Shelly comes to us from LSL CPA's, who has served as the Wilson organization's auditing firm for over 25 years. Shelly is a graduate of CSU Fullerton, with a Bachelor's degree in business administration, emphasis in finance. She received her MBA from CSUF in 2001 and became licensed as a CPA in 2006. Over the past 13 years she has primarily served LSL's automotive clientele, and was made a partner with the firm in 2010. 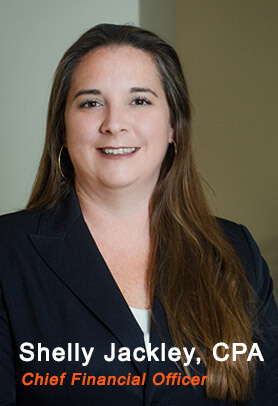 In addition, as the firm's IT Director, Shelly was responsible for overseeing the IT services provided to clients, as well as developing and directing the firm's IT strategic initiatives. Shelly is involved with numerous community outreach programs . including food drives and blood drives. She also volunteers with the Tustin Region of AYSO Soccer, and is involved with the Girl Scouts and Boy Scouts of Orange County as a troop/den leader. She, her husband, and two children reside in Tustin.